It’s exhibition season. 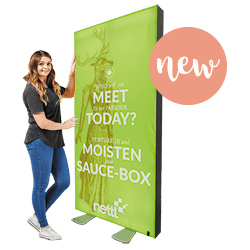 Are you ready to be seen by new customers? 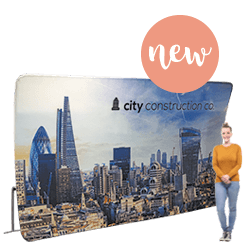 We exhibit at lots of events through the year. Some big, some small. Some cost more, but attract more customers. Some cost almost nothing, yet we still meet new people. It’s our job to help you stand out. To get your message noticed. To existing buyers and to new customers. It’s our job to help you be seen. We’ve re-engineered our Lightbox. Now it’s portable. Silicon-edged graphics can be switched easily – a different message for each side. 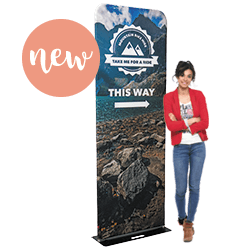 Perfect for navigation, our new slimline Totem fabric stand has a small footprint. Get it printed both sides or just one. Collapses down into a small bag. Go big or go home. A stunning 5m wide curve to blow people away. The graphic is reversible – choose a different message for front and back, then switch between events. 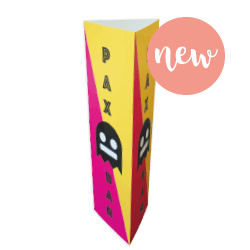 These neat sleeves wrap around a lamp post or bollard. 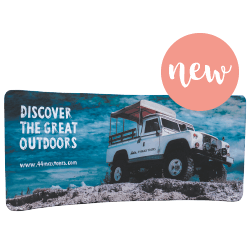 Great for outdoor event signage or car park navigation. 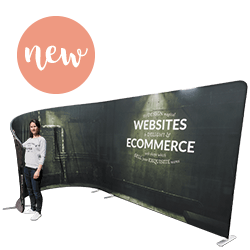 Printed on a waterproof corrugated, fluted board.